The following four mp3s have always been on the site (accompanied by a plea to the record companies to let them remain) as an introduction to the music of Albert Ayler for those who had never heard him. Back then webspace was severely limited so I chose three short tracks - ‘Ghosts’ and ‘Bells’ (obviously) and ‘Holy Family’ - and ‘Change Has Come’ which was, and still remains, my favourite Ayler track of all time. (Recorded at the Cafe Montmartre, Copenhagen on 31st March 1966. 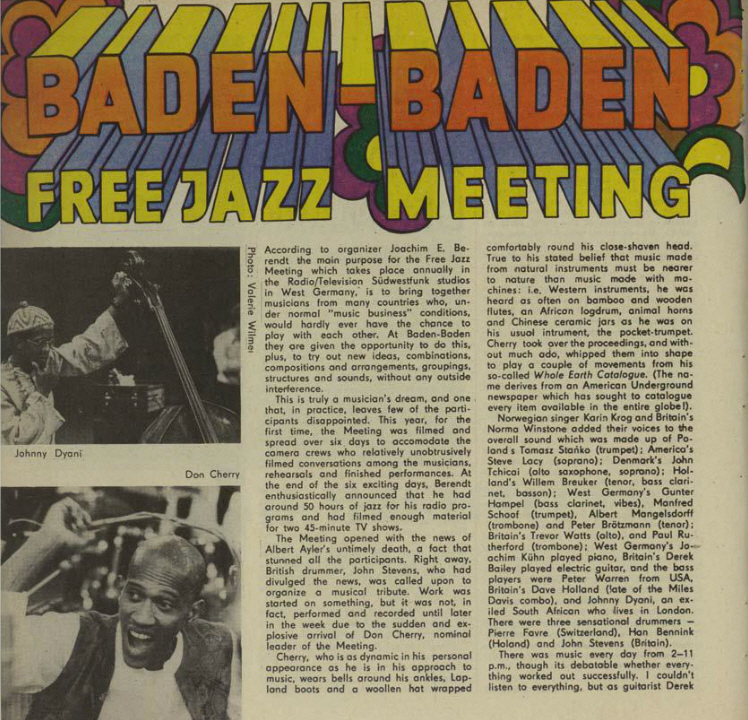 The line-up is Don Cherry (cornet), Gato Barbieri (tenor sax), Karl Berger (vibes), Bo Stief (bass) and Aldo Romano (drums). 9.25 – 10.11/end Ghosts reprised. A longer version of the piece was recorded by John Stevens on 7th May 1971 at the Notre Dame Hall in London. 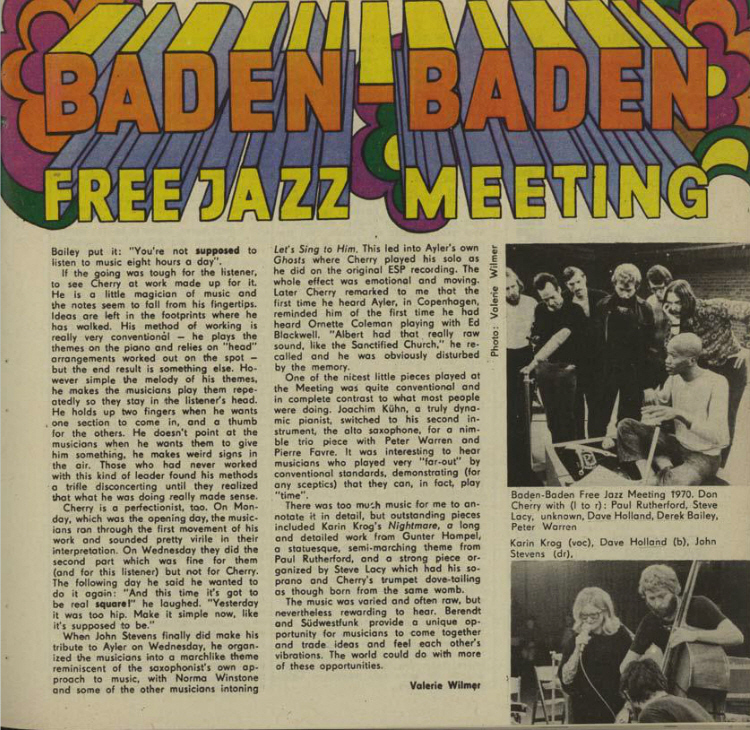 Val Wilmer’s review of the Baden-Baden Free Jazz Meeting, from the Polish jazz magazine, Jazz Forum (No. 13/14, Autumn/Winter, 1971 - p. 68-69) is available below (click the pictures for a readable version).